Aranda have been manufacturing and supplying products across the country for nearly 40 years and offer our customers total peace-of-mind with quality products, great customer service and value-for-money. We sell a range of automotive products to cover all of your towing & terrain needs including our TAG towbar range which is made right here in Australia to the highest of standards and for the toughest of conditions. We also supply bull bars, nudge bars, roof racks, cargo barriers, van racking systems, trade service bodies, bike racks, electric brake units and much more. 'BTA Towing Equipment' designs and manufactures a large range of towbars and class 4 hitch receivers to suit most makes / models of passenger vehicles, vans & four wheel drives PLUS our MultiFit hitch range to suit RV's & Light Trucks. Many motorhome owners like the convenience of having a small car for running errands, exploring places where a motorhome would not go; you can even 4WD down the beach for that special fishing spot. If you're away for a length of time, A-framing gives an added advantage so you're never stuck. You've got your motor home, your itinerary (or perhaps not!) and a little car to tow behind for day trips. Several towing equipment options exist for bringing your vehicle along with you, including trailers, tow dollies and A-Frames. The easiest and cheapest solution for your towing problem is to use an A-Frame. Unlike trailers or tow dollies, an A-Frame pulls the car behind the motor home on all four of the car’s own wheels. It can be stored easily and involves the least amount of towing equipment. An A-Frame also takes up fewer parking spaces than a trailer or dolly. Hitch n Go A-frames are solid, welded units with arms that fold together for easy storage. Because of their relative simplicity, A-frames are the lightest and cheapest towing equipment an RV enthusiast can buy. Safety is most important at Hitch n Go. Therefore there are some important things to consider regarding which vehicle is suitable to tow behind your motorhome and what’s required to do it successfully. Firstly, your motorhome needs to be large enough to cope with the car you intend to tow. [See towing ratio below]. You’ll need a 50mm tow ball on an approved and compliant tow bar professionally installed to your motorhome. Some larger motor homes utilise 24 volts. This will need to be reduced to 12 volts in order to be compatible with the towed vehicle. 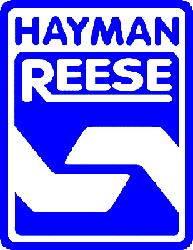 We are proud to supply and install Hayman Reese Towbars, Towing equipment and accessories. Manufactured in Australia since 1951, all Hayman Reese Towbars come with a Lifetime warranty. Whether you want to tow a trailer to the local tip, carry the kids bikes to the park or a caravan to the tip of Australia, Towbars Plus can help you select the towbar with the price and rating that suits your needs. With the introduction of electrical and electronic systems to new cars, choosing and installing towing equipment has become a specialized field. Towbars plus technicians are able to advise on the best position, product and wiring solution to prevent damage to your vehicle. With Hayman Reese products, we are able to fit towing equipment to a large range of vehicles including European models. Towing caravans, trailers, boats etc can be difficult, uncomfortable and dangerous. You can reduce the risk to your vehicle, passengers and trailer with correctly installed towing equipment that meets your vehicles specifications and the type of usage it will have. For more information on safe towing please click here. custom towbars for special applications, including cars, light trucks, trucks and motor homes. road testing, evaluation and advice. When travelling with a trailer, strong winds and wind buffets from large trucks and buses can result in unnerving trailer sway. 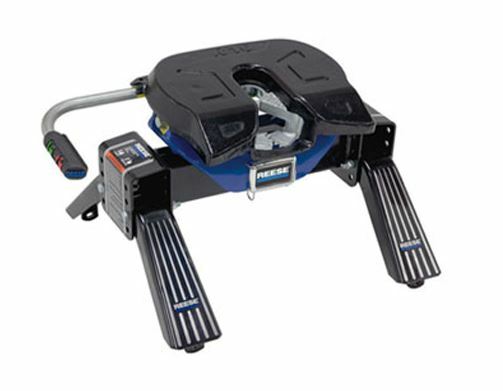 A sway controller is designed to be used in conjunction with a Hayman Reese Weight Distribution System and prevents trailer sway by retarding the pivotal movment between the tow hitch and the trailer. Towing without a Hayman Reese Weight Distribution Systems can cause unnerving trailer sway, reduced steering and braking responsiveness, less traction and misaligned head lamps. Overtime you may also notice a reduction in fuel economy and in increased tyre wear. When using a Weight Distribution System, the ball weight remains the same, however the load is evenly distributed through the vehicle's chassis to all four wheels. It is important that the capacity of the Weight Distribution System is correctly chosen and that the vehicle manufacturer's recommendations are always followed. 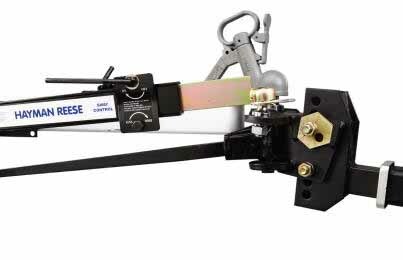 Hayman Reese 600lb & 800lb Weight Distribution Systems come in a Classic and Standard style. The Classic can be described as the Hayman Reese signature kit. The system is comprised of our proven traditional welded head, trunnion style high performance bars with integrated cams, and with light weight extra durable cast steel shanks. The Standard kit is comprised of round, hook style high performance spring bars with integrated cams. 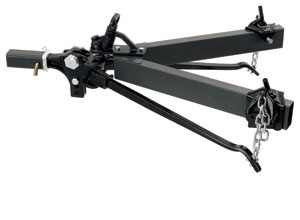 Round spring bars allow for more clearance for trailers with 6” chassis. The system shares the same shank as the Classic kit and also has a light weight cast steel head. Hayman Reese has over 60 years of experience in towing. For our 5th Wheel and Gooseneck product range we have worked alongside our sister company, Reese, in the USA who are leaders in 5th Wheel. We are developing a range of products suitable for the Australian market and which are fully compliant with all the appropriate Australian standards and meet all legal requirements for towing using this technology. Our 5th Wheel and Gooseneck products are supplied as a kit, comprising custom designed rail kit along with your choice of hitch system, complete with a Hayman Reese Smartclick wiring solution and all the compliance plates required to ensure compliance with all necessary legislation. You can relax, safe in the knowledge that once fitted, your vehicle will meet all the requirements of the Australian regulations and will pass any tests and compliance checks which may be required by certain States and Territories.